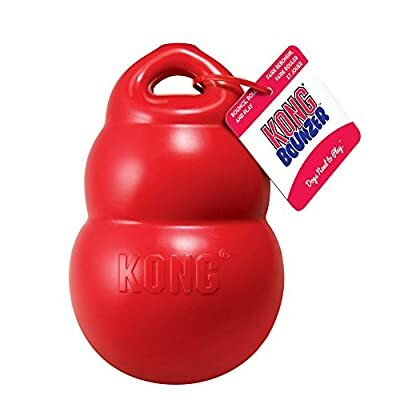 Dogs will go crazy for the new KONG Bounzer dog toy! 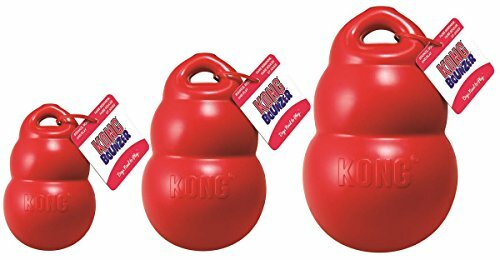 Made in the classic KONG silhouette, the Bounzer compresses when picked up by the dog, releasing air from the toy which encourages self-play. 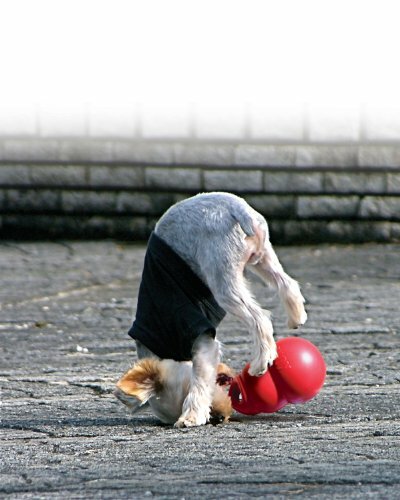 What's more, it bounces right back to its original shape. 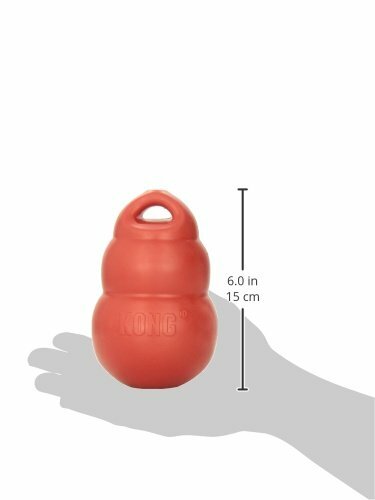 The top handle makes throwing even easier. 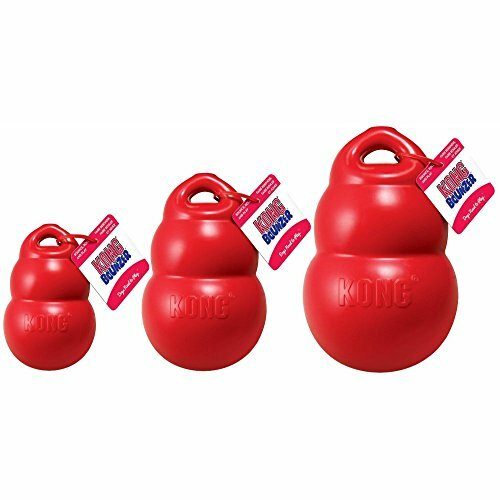 Dogs will love to bounce, roll and play with these oversized, KONG-shaped toys! The KONG Bounzer Dog Toy is made a of lightweight, flexible material and is perfect for games of fetch and retrieve.